The Zionist Organization of America (ZOA) has pointed to a report by Human Rights Watch (HRW), a group that has frequently and unfairly criticized Israel’s observance of human rights while frequently ignoring the genuine human rights abuses committed by other regimes in the region, which reveals that Mahmoud Abbas’ Palestinian Authority (PA) and the Hamas-controlled Gaza are repressive regimes that routinely and systematically use torture and arbitrary arrests of peaceful activists. The PA and Hamas use “machineries of repression” to stifle criticism. Abuses committed by both regimes include whipping people’s feet, forcing detainees into painful stress positions, hoisting up people’s arms behind their backs with rope, and coercing suspects into granting access to their mobile phones and social media accounts. The PA detained 220 Palestinians without charge or trial for their social media posts, including 65 university students and two journalists, while Hamas authorities have detained over 45 people for their social media activity. The HRW report states that the PA’s systematic use of torture could amount to a crime against humanity under the United Nations’ Convention against Torture, which the PA signed when it was accepted as a United Nations non-member state, and has called on countries that provide funds to the PA’s military and police forces –– which includes the US –– to suspend their assistance (Mohammed Daraghmeh, ‘Human Rights Watch: Palestinians crush dissent with torture,’ Associated Press, October 23, 2018). ZOA National President Morton A. Klein said, “It is noteworthy that an organization like Human Rights Watch, which has a long history of unfairly targeting Israel while ignoring genuine human rights abuses committed by her neighbors, has issued this report which shows Mahmoud Abbas’ regime to be a repressive, human rights-abusing tyranny that crashes dissent. 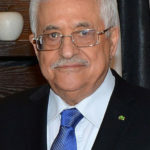 “It is far from clear why so many governments and activists around the world are so keen and insistent about Israel creating a PA-dominated Palestinian Arab state when it is obvious that such a state would be a deeply repressive and human rights-abusing regime. 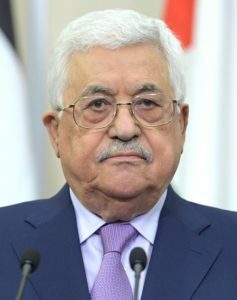 “After all, if this is how Abbas’ PA behaves when it is not a state and heavily dependent on international aid and goodwill, why would its behavior improve when it would enjoy full independence and the immunities of sovereignty?